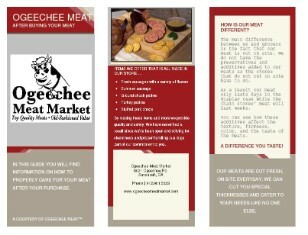 The Guides for Ogeechee Meat and more. 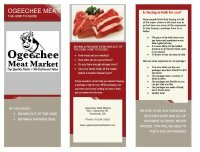 Here is a growing variety of Guides and brochures to help you in your meat buying and cooking ventures. 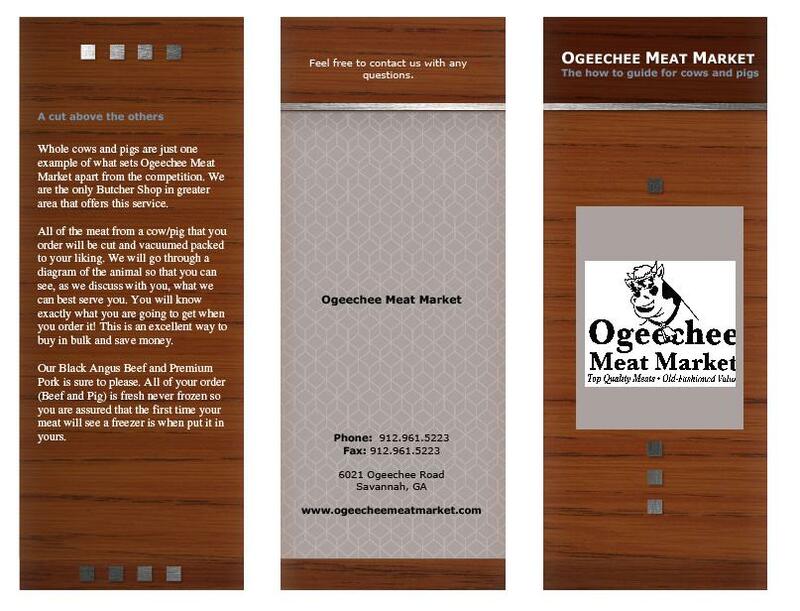 Keep in mind that if you ever have a question or concern you can call us or Ask the Butcher. 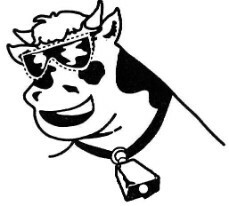 Heads up...To look at most of the items on this page you will need Adobe Reader. It is a free and safe program for your computer that you can download by clicking on the logo to the right. The how-to guide for buying out of the case and buying packages. 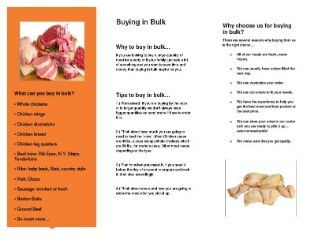 The how-to guide for After you buy. 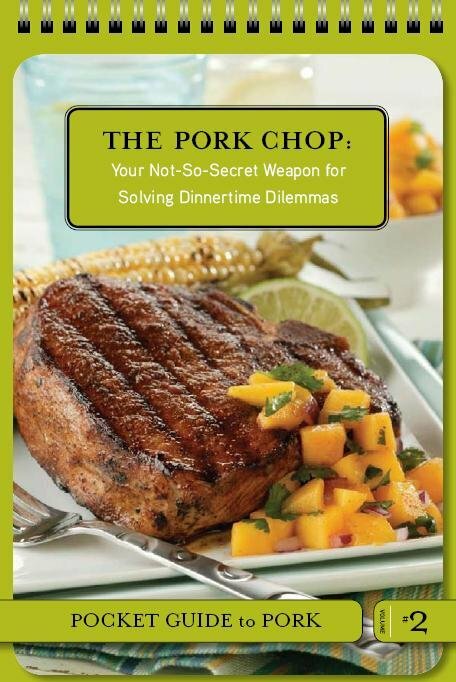 The Pork Chop: Pocket Guide to Pork.